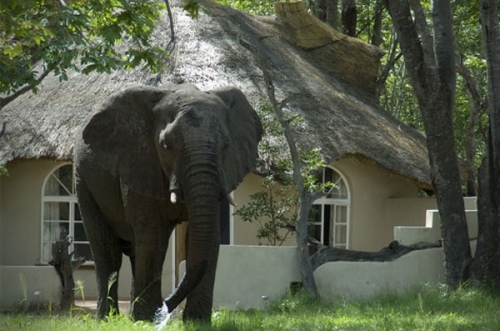 Accommodation: Bayete Guest Lodge or Phezulu Guest Lodge, Victoria Falls. Room type: Deluxe twin or double sharing package. Flight Arrival at Victoria Falls Airport, guest will be meet at the airport by a company representative and transferred to the lodge. On arrival they will be assisted to check-in and be taken to their respective room where they will be allowed time to settle-in. Pick-up time for cruise is at 15:45pm at the lodge. Zambezi Sunset Cruise, duration of the activity is 2 hours and after the cruise guest will be transferred back the lodge at around 18:00 hours. Stanley and Livingstone game drive @ 6:00am, will have breakfast during the activity. Lunch will be at Deans Café at the Elephant’s Walk Shopping Complex. Walk with Lions or Elephant Ride & Interaction @ 06:00am, duration of activity is 3 hours. Departure for the airport will be 10:00am, to give enough time to check-in and do all the airport departure procedures.